best hosting experience for novice webmasters and experts alike. You can tell from our new design that we're a different kind of hosting company. Other hosting websites look more like infomercials designed to shock and awe you into purchasing hosting with them. Our goal is to inform you, the customer, in a clean and friendly manner. We believe that a simple design and clear informative content will impress prospective customers much more than flashing lights and animated buttons. Where to host your website is one of the most important decisions you can make when starting an online venture. You need a host that is reliable and easy to contact. You need your host to have redundant connections to the internet and lots of redundant power incase of power outages. Here at Hosting-Wire.com we have a triple redundant connection to the internet with 3 of the major back-bone providers, as well as our own backup power facility that can keep your site running through at least 5 days of power down time! That's unparalleled in the hosting industry! From $6.95 per month - A shared web hosting service or virtual hosting service is a form of web hosting service where more than one instance of the same web server is hosted on a single physical server. This is generally the most economical option for hosting as many people share the overall cost of server maintenance. From $33.95 per month - A virtual private server (VPS, also referred to as Virtual Dedicated Server or VDS) is a method of partitioning a physical server computer into multiple servers that each has the appearance and capabilities of running on its own dedicated machine. Each virtual server can run its own full-fledged operating system, and each server can be independently rebooted. From $89.95 per month - A dedicated hosting service, dedicated server, or managed hosting service is a type of Internet hosting where the client leases an entire server not shared with anyone. This is more flexible than shared hosting, as you have full control over the server(s), including choice of operating system, hardware, etc. Server administration is provided by Hosting-Wire.com as an add-on service. Our dedicated servers offer less overhead and a larger return on investment. 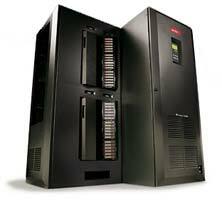 Our dedicated servers are housed in data centers providing a redundant power source and HVAC system.